Congratulations go to the latest grand prize winner Daniel Edward Morris of Pittsburgh, PA for his poem “Not Poor.” An outstanding piece, the judges selected it for its gritty imagery, latent symbolism, and creative locution. Hats off also to the twenty second place and one hundred third place winners of the July–December 2013 contest. See the complete list of winners online at www.eberandwein.com. Eber & Wein Publishing received about 20,000 entries for the latest National Amateur Poetry Competition, held twice a year. It was a competitive batch of submissions from an equally diverse range of poets and poems. Participants wrote about love lost and found, the beauty of nature, faith and spirituality, tragedies of the past year or so like Sandy Hook and the Boston bombing, and so many other subjects. 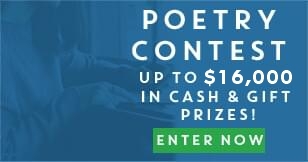 Each participant is permitted one poem in any style and subject as long as it is twenty-six lines long or fewer (including stanza breaks) with a maximum of fifty-five characters per line (including spaces). 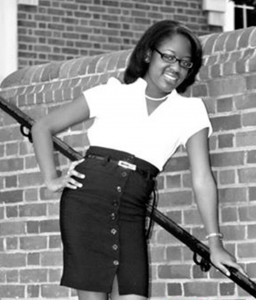 Robyn Redding of Charlotte, NC with her poem “Dear Son” was the grand prize winner of the January–June 2013 contest. Redding was born and grew up in Griffin, GA where she “developed her love of writing, her tendency to lean toward Southern vernacular, and her desire to live anywhere but the South.” She earned her BA in English with a minor in creative writing from the University of West Georgia and currently is a recruiter for marketing research. Redding describes the experience of winning as “surreal” and credits God, family, professors, and classmates along with her “intrinsic desire to succeed” as her motivators. This entry was posted on Tuesday, April 1st, 2014 at 12:00 am. Both comments and pings are currently closed.